Personal finance, stock markets and financial activities simplified. Unique thought process and opinions on global financial news. A popular reliance ad shows that after air,food and water comes connectivity;and what more could be more important than the device that ensures connectivity-the telephone.Telephones have become as much as anything else a necessity.As they say necessity is the mother of all inventions (and therefore creation) we find that in recent years telecom companies have grown,exploded and sprawled into outrageous sizes. Mexican telecom entreprenuer Carlos Slim Helu Aglamaz recently eclipsed for a brief period of time both Bill Gates and Warren Buffet to become the world's richest man.Closer home we have fine examples such as Airtel and Vodafone(previously Hutch) demostrating why telecom has been 'The' emerging sector. A case in point is the well publicised complete Third World Nations affair-namely the MTN(South Africa's largest telecom company) takeover. What's in it for the both of them? 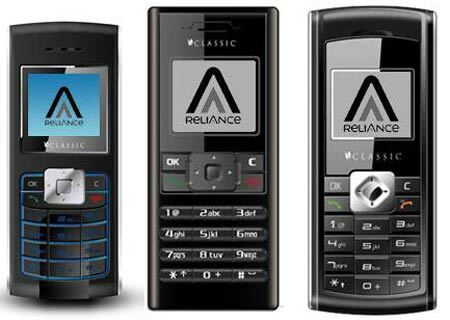 For RCom, MTN would offer its experience in running GSM networks. This is critical since RCom, which is a CDMA operator, will shortly launch a pan-Indian GSM network. MTN also has expertise in offering 3G services in South Africa, which RCom could leverage in India. MTN, on the other hand, could leverage Reliance's non-mobile business enterprise and its large submarine cable network across 60 countries. Over 115 million mobile customers across 23 countries. This is smaller than the Bharti Airtel-MTN combination (131 million customers), but wouldA combination of MTN and RCom would create a telecom behemoth with catapult RCom ahead of its key rival in the Indian market. Bharti Airtel has 17 million more customers than RCom (62 million and 45 million respectively). A combination of the MTN and RCom 2008 balance sheets would create a $14.4 billion (Rs 58,000 crore) company, making it the second most profitable mobile operator after China Mobile. This deal would would create one of the world’s largest emerging-markets telecom operators with 115m subscribers spread across Africa, India and the Middle East. The only hurdle would be big brother Mukesh Ambani who has always tried to hamper the growth of Reliance Communicaitons. this deal is simply put awesome that is if it come through... the reason i say this is thanks to the unwanted interference from his brother Mukesh. this unwanted attention is certainly directed in a course contrary to the development of new alliances and will definitely have a detrimental effect on all future deals. for this Mukesh deserves to be rapped in public. as it not only is damaging his own brothers reputation but also the public interests at stake. Thats great! Reliance, one of the biggest telecom companies of India shakes hands with MTN, one of the biggest telecom companies of Africa. the mtn deal with rcom is certainly something. i hope that this will come true and uplift the flagging india telecom industry. the only problem here is Mukesh. he's like a perpetual thorn in Anil's side, no matter where Anil goes or what he does Mukesh is just two steps behind to poke him. mukesh if you know even a squat of business sense you will pull back unless you want to fund your new billion dollar house construction with the spoils you derive from this war. apart from this its really disheartening to see such naive sibling rivalry.